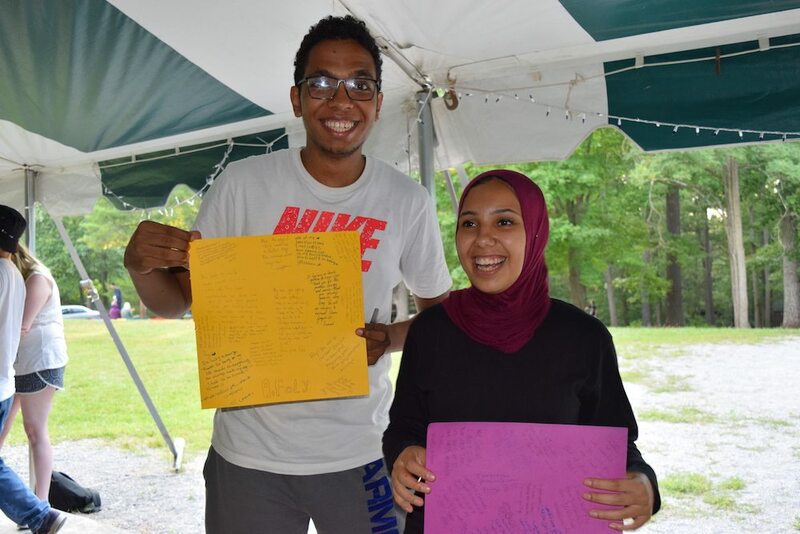 In only eight, one-hour sessions, participants shared a presentation on Islamophobia, signed memory pages for each other, distributed a survey, created a camp yearbook collage, placed memory books in each cabin, gifted friendship bracelets, and planned the final Sharing Night evening program throughout their time at GYV this year. Action teams are a unique aspect of the GYV experience, allowing participants to practice their leadership skills and execute a project in a small group. They go through the process of executing a project: brainstorming ideas, overcoming challenges, and celebrating successes. 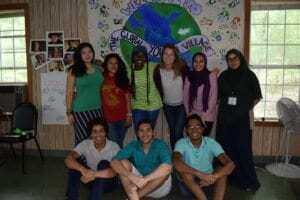 Each action team focuses on a different aspect of camp, such as art, global issues, leadership, and event planning. This summer, participants were split up into the Positive Leadership team, Global Awareness team, Community Assessment team, Community Art team, and the Sharing Night team. 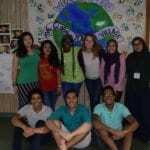 As an intern, I had the opportunity to lead the Positive Leadership Action Team. Their goal as a team was to find ways to improve community morale, promote positive leadership, and spread kindness among the camp. After a long session of brainstorming, they decided to create a memory book for each cabin and plan a memory page signing event. In the beginning, teams spent time brainstorming ideas and discussing how to implement the projects, listing what materials were needed, and delegating roles to different members. As concrete plans began to form, the teams presented the projects to a staff member to be approved. Action teams faced logistical and material challenges as they received feedback, yet overcame each obstacle by communicating and exchanging new ideas. Ideas led to results and now, each cabin has its own memory book for future campers to record their names, homes, and any notes they choose to leave as a legacy. 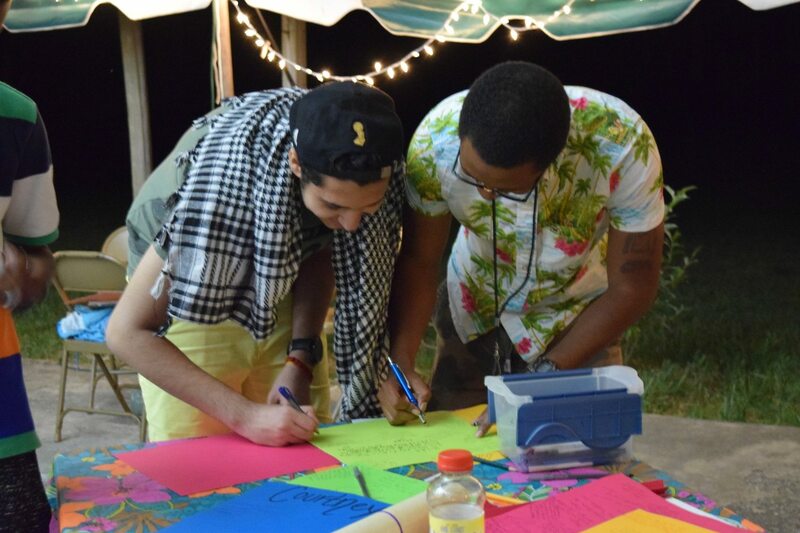 My action team also held a memory page signing event for participants to write notes to one another to remember GYV.